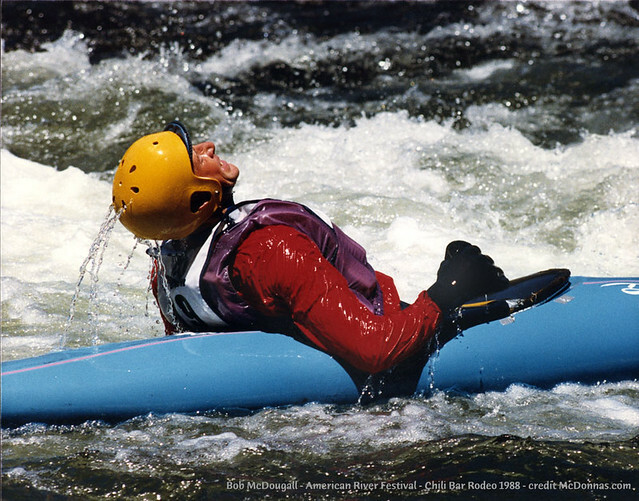 If you get some great shots at the American River Festival, we’d love to see them! Upload them to Flickr and send us a link to your gallery. 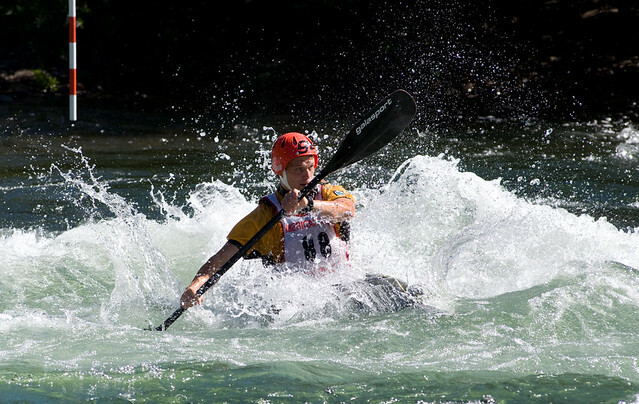 To whet your appetite for the next American River Festival, here are some photos from the slalom races at the Nugget, September 9, 2012. Photos by Donna McMaster. Lars Holbek Memorial Downriver Race, from Marshall Gold Discovery State Historic Park to Henningsen-Lotus Park, September 8, 2012. 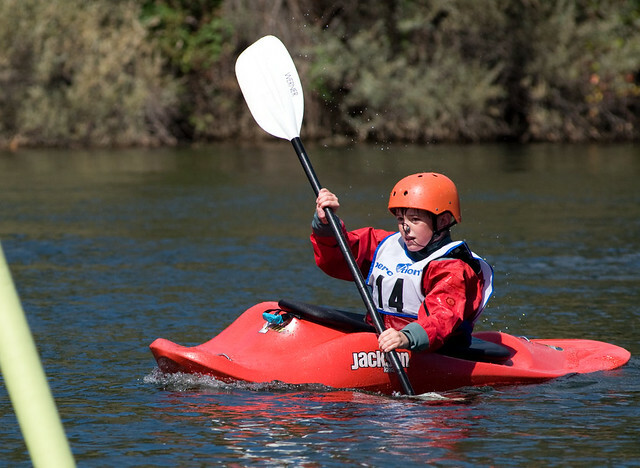 The field was small, but included some talented young people and champion paddlers. Photos by Donna McMaster. Some classic photos taken by Donna McMaster at the 1988 Chili Bar Rodeo, April 1988, on the South Fork of the American River in California. In those days, the boats were too long to do most of the spins and aerial maneuvers that are so common today. 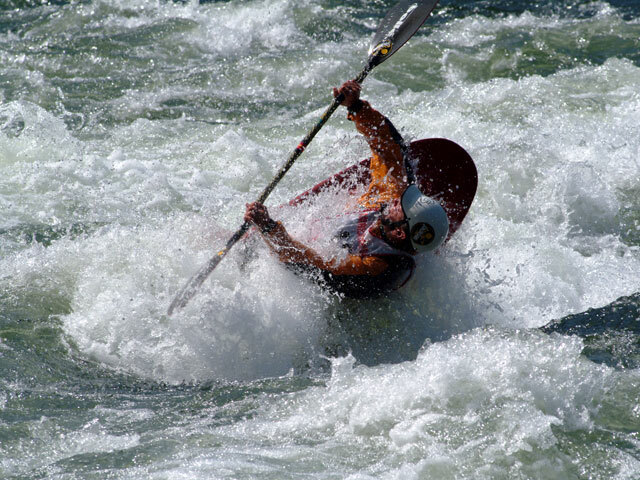 Tricks generally involved paddle tosses or twirls, hand paddling, or controlled rolls with or without paddles. Though not affiliated with the ARF, you might enjoy Alex Koutzoukis’ photos from the American Riverboarding Festival held at Chili Bar in September 2010.